The PlayStation 4 serves up dazzling graphics, runs on a simplified and logical interface, and boasts a fantastic controller. It's $100 cheaper than rival Xbox One and has the upper hand on indie and digital-only games. Besides, it doubles as a great DVD (Blu-ray) player and has plenty of streaming entertainment apps. However, the new game console seems to be far from perfectness with regard to the DVD feature. Until now, there are many issues of playing DVD on PS4 from PlayStation4 Support. Maybe do some audio video setting could be on the cards to make DVD playable on the Sony's new game console. But the complexity might be a lot more irritating. Actually, there is an easy way to fix the issue - convert DVD to PS4 supported video formats like MPEG4, H264, etc. This task can be accomplished as long as you have right DVD to PS4 converter software. Here EaseFab DVD Ripper is highly recommend. 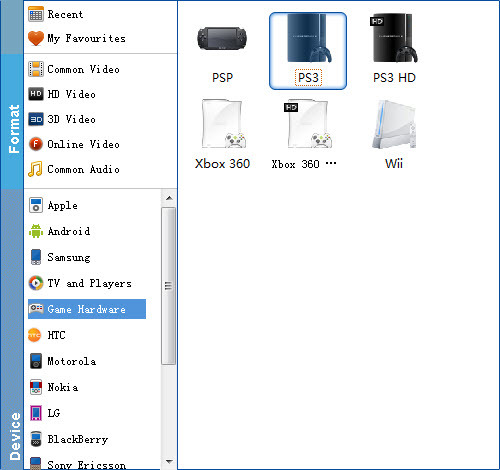 It offers specified video formats for PS4, PS3, PSP and many other game hardware like Xbox 360, Xbox One, Wii and more. 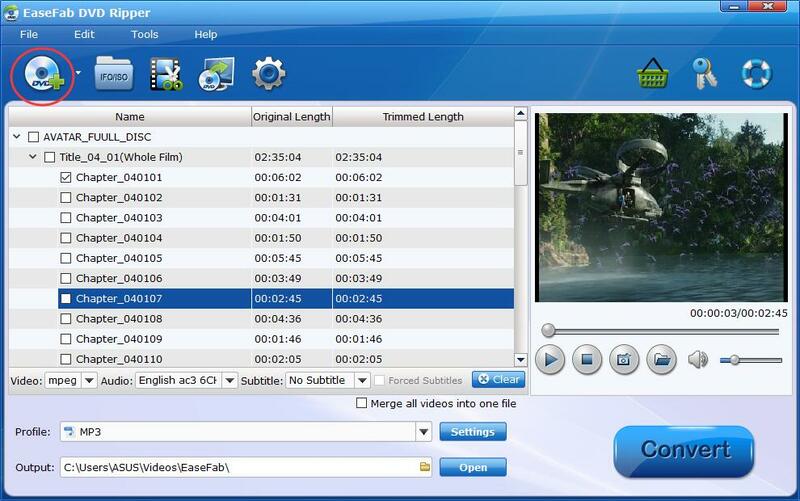 With it, you can rip DVD to PS4 compatible videos with fast speed and extremely high quality. Furthermore, it offers 1:1 DVD backup solution, which help you back up any commercial DVD movies without any quality loss. You can effortlessly keep your DVD discs from scratched, damaged, or manage your DVD movies in more convenient way! Below is the detailed procedures on how to convert DVD to PS4 supported format. And the screenshots are taken from the Windows version of DVD Ripper. Download and install EaseFab DVD Ripper. Launch it and click the Load DVD button to import the DVD files that you want to convert to play with PS4 or PS3. Both ISO, IFO and files in DVD Folder can be loaded. This DVD to PS4 ripper provides optimized presets for PS3 and PSP. So in this step, you can just choose the ready PS3 or PS3 HD preset for PS4 as the output format, which will remove all the incompatibility issue. When all settings are done, simply click the Start button to begin the conversion from DVD to PS4. You will get the files converted ready in a few minutes. When the DVD to PSP MP4 conversion finished, you can freely transfer movie to PS4 and watch movie on PS4 anytime and anywhere you like. The DVD ripping ability in EaseFab DVD Ripper is really excellent because it disables all copy protection measures off DVD discs, be it Sony ARccOS protection or Disney X-project DRM. Thus you can rip any copy-protected DVD to iPad Air, iPad Mini with Retina, iPhone 5S/5C, Xbox One, HTC One, Google new nexus 7, etc without any hassle. Additional Tips: If you want to rip both Blu-ray and DVD movies for PS4, EaseFab Blu-ray Ripper is a great choice.